To achieve our goal of customer and employee satisfaction, we have created an environment where each person’s job is equally important regardless of title.We believe that it is more profitable and efficient to develop our own people instead of looking outside the organization. We strive to properly select our staff and give them the benefit of intensive training. This is preferable to a revolving door of hiring, then firing, while searching for that “magic” person. We have simplified our mission to a few words: JUST BE NICE AND MAKE PEOPLE HAPPY. 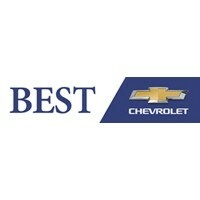 Best Chevrolet has the technology and staff to make your vehicle run like new. Our auto technicians have the skills to correctly diagnose and repair your vehicle the first time. The mechanics at Best Chevrolet are the Boston, Hingham, Quincy and Lynn area Chevy auto repair experts; whether you need a brake job, oil change or Massachusetts inspection. Stop by during our convenient hours and schedule an appointment at our dealership’s state-of-the-art service facility. You can also fill out our service appointment form and schedule your car repair right here! Our car repair center is located at 128 Derby St. in Hingham, MA, and we can easily be contacted by phone. While you are here be sure to check out our large selection of new Chevy cars, used cars, and Chevy parts. Please visit our auto finance department to learn about the latest car loan and lease options.